At this inaugural breakfast, we will celebrate the companies that have recently completed the first year of the mspWellness program. 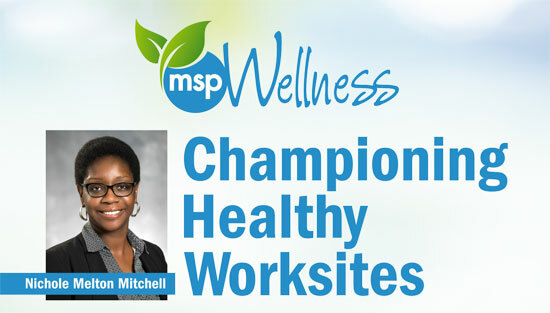 We will highlight the changes these mspWellness Champions have made to their workplaces creating better health and wellness opportunities for their employees. Guest speaker, Nichole Melton Mitchell, Chief Operating Officer at Allina Health | Aetna, will share best practices for employee engagement in wellness initiatives, wellness plan implementation and potential outcomes. Join us as we salute this year’s mspWellness Champions! mspWellness is a partnership between the Minneapolis Regional Chamber and the Minneapolis Health Department. mspWellness provides enrolled companies with tools, resources and technical-assistance to create healthier work environments.